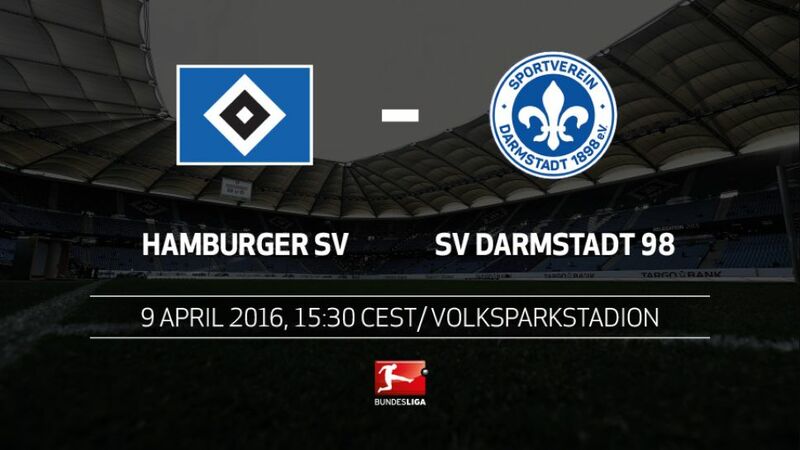 Hamburger SV and SV Darmstadt 98 have survival on their minds when they meet at the Volksparkstadion this Saturday (kick-off 15:30CEST/13:30GMT). Hamburg are a little bit closer to achieving that objective than their guests, and a win for Bruno Labbadia's side would all but mathematically prolong their proud record of never having been relegated from the top flight of German football. Darmstadt need more than just one win from their final six games to extend their stay at the top table of German football to two years, on the other hand. Indeed, had four of the bottom five not been facing each other on Matchday 29, a defeat could have resulted in a drop inside the relegation zone. Darmstadt have drawn their last four matches.Sandro Wagner has scored eight goals in the second half of the season – only Robert Lewandowski and Claudio Pizarro have more in 2016 (ten each).Slobodan Rajkovic is returning to Hamburg for the first time as an opponent.Conversely, Ivo Ilicevic, coach Bruno Labbadia and his assistants Edy Sözer and Bernhard Trares all have history with Darmstadt.HSV's only win against a side from the bottom half of the table came right back on Matchday 2.Hamburg have scored 11 goals in three home games against Darmstadt in all competitions, winning all three but conceding one in each game.Nicolai Müller has scored eight goals this season; nine would be a personal season's best.Sven Schipplock set up two goals in Hannover on Matchday 28, yet he is still waiting for his first goal in the Bundesliga.